Please join Krause Veterinary Clinic in the first annual Ruff Run to benefit our Angel's fund. This fund is designed to help clients in need of getting their pets the proper medical care. We invite you to bring your dog to join in the fun all we ask is that your dog be vaccinated with the Distemper, Bordetella and Rabies vaccines. If your canine companion is dog aggressive please leave them at home this time. Sorry we need to keep everyone safe. We will supply a t-shirt and snacks. So come join KVC for a day of fun in the sun. 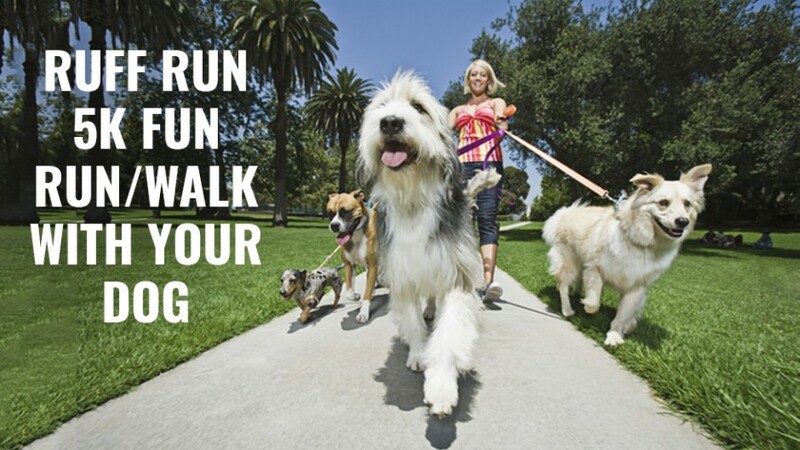 Packets will include: T-shirt, map of the course, leash and water bowl for your running partner. Proceeds: Benefit Krause Veterinary Clinic’s Angel’s fund. This fund is designed to help our clients get care for their pets after an emergency or life threating illness. Entry Cost information: $25 with T-shirt, forms must be submitted by August 15th. Other Information: If you are bring your pet, please make sure they are up to date on vaccines (Rabies, Bordetella and DHLPP). Any dog aggressive furry friends must stay home, sorry guys but we have to stay safe.